The Miami Heat are four wins away from their second championship in a row, and the only thing standing between them and another title are the formidable San Antonio Spurs. The two will face off in Game 1 of the NBA Finals Thursday night. The Heat won both regular season meetings against San Antonio, but that means even less than it usually does before a playoff series. In the first game against the two, Spurs coach Gregg Popovich benched four starters (San Antonio was at the end of a long road trip). LeBron James and Dwyane Wade sat out the second meeting (in preparation for the playoffs). 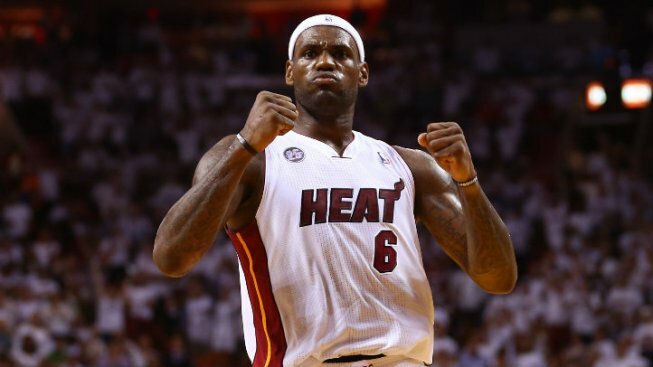 Reigning MVP LeBron James has faced the Spurs in the finals before, as a member of the 2007 Cleveland Cavaliers. "I have something in me that they took in '07. Beat us on our home floor, celebrated on our home floor. I won't forget that. You shouldn't as a competitor. You should never forget that," James said Wednesday. Back then James was the alpha and omega of his team. 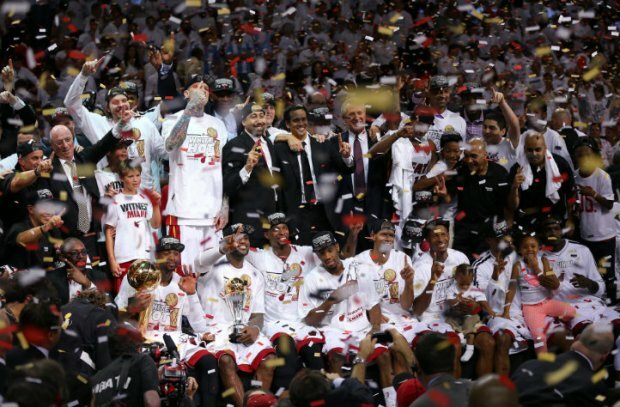 Now he has Wade and Chris Bosh, plus a bevy of supporting players who helped deliver a title last year. But the bigger change between 2007 and now for James is James himself. "He'll be a lot more of a problem than he was in '07, that's for sure," Popovich said of LeBron. "He was basically a neophyte at the time, wondering how all this stuff worked and how it's put together. We were very fortunate at that time to get him so early. But at this point he's grown." James' supporting cast disappeared for stretches of the conference finals against Indiana, but he will need them all if he wants another ring. The Spurs play a style of offense very similar to Miami's: spacing the floor and playing unselfish basketball in order to find open, high-percentage shots. Both teams also excel at three-point shooting. The biggest question for the Heat on defense will be how they try to stop Spurs PG Tony Parker. Norris Cole gave him some trouble in the last regular-season matchup, but the Heat may have to stick James on him in crucial moments if they want to prevent the quick Parker from doing what he wants. Quick point guards always give the Heat trouble, and Parker will likely be no different. On defense, the Spurs will hope that Kawhi Leonard can slow down James enough so that he cannot wreak havoc. But the more telling match-up will be Tim Duncan on Bosh. The Heat center had to rely on outside jump shots against Roy Hibbert in the conference finals, but he has a better chance at getting to the rim against the 37-year-old Duncan. Perhaps the biggest X-factor for the Heat will be Wade, though. He has struggled mightily throughout the playoffs, though he came alive on Monday against the Pacers. 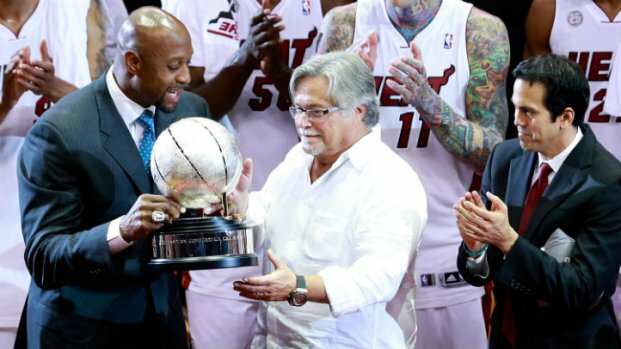 The Heat desperately need a healthy Wade both to spell James and provide another explosive scoring option. Miami also needs him to defend Danny Green, who is deadly from three-point range. Miami has home-court advantage, and though the Spurs have a big lineup they are among the worst teams in the league at offensive rebounding. After two straight series against teams who easily helped themselves with second-chance points, Miami should be able to play the kind of fast-tempo game that favors their lineup. Game 1 tips off at 9 p.m. ET, with coverage on ABC.